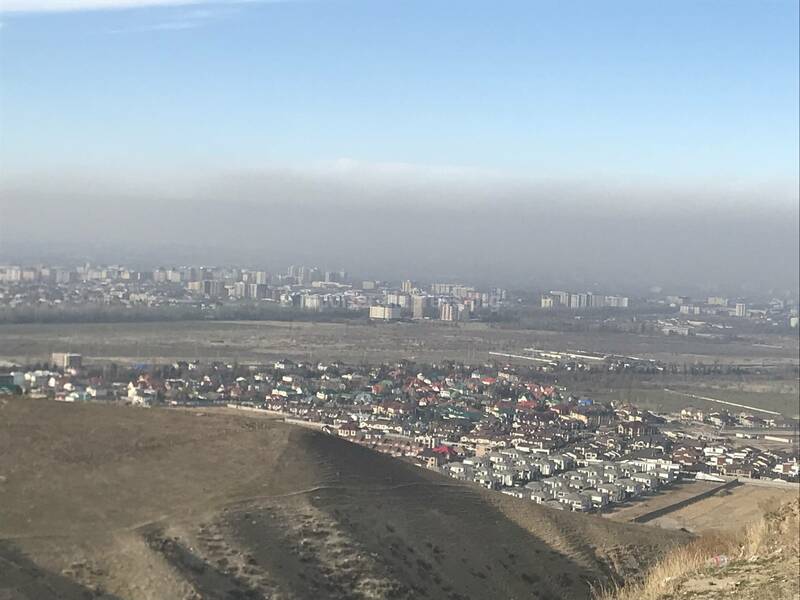 AKIPRESS.COM - Reader has sent a photo to AKIpress showing a smog over Bishkek. Meanwhile, India's capital New Delhi continues to be enveloped in a grey smog with pollution levels remaining in the severe category. This is in spite of the implementation of several emergency measures including a ban on all construction activity and sprinkling of water on roads. The capital city saw PM 2.5 levels - a measure of fine particle matter linked to higher rates of chronic bronchitis, lung cancer and heart disease - go up to 500 in some places Monday, The Straight Times reported. The Supreme Court on Monday (Nov 13) called it an "emergency-like situation". But primary schools, which had been shut for a week by authorities due to high pollution levels, reopened on the same day. Children going to school could be seen wearing masks as the India Meteorological Department predicted levels would start receding by Monday night. The department also said rain would start to clear the air, over the next two days. Schools said they were struggling to keep children engaged indoors.